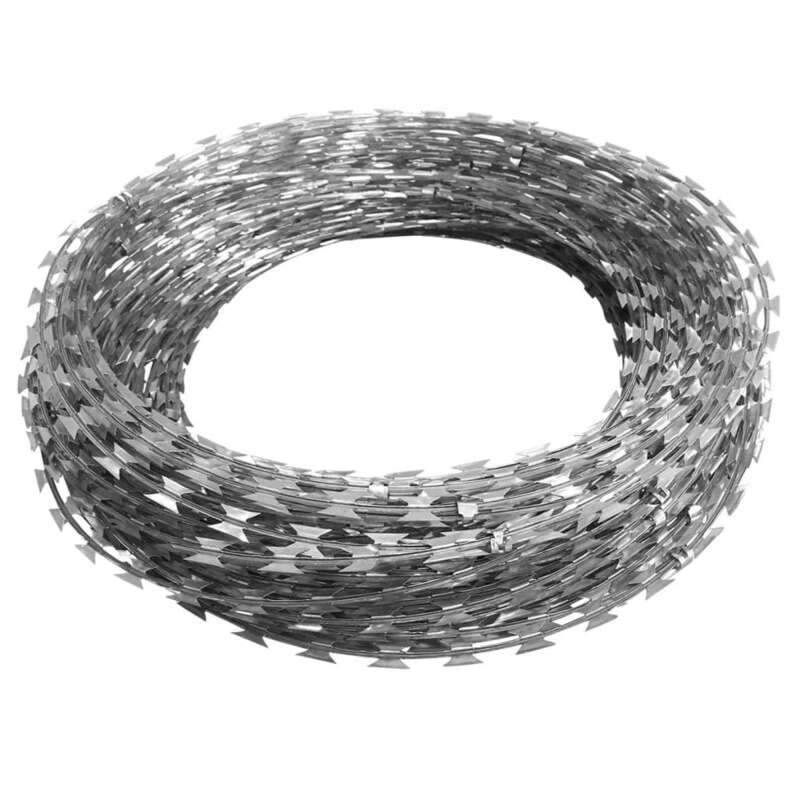 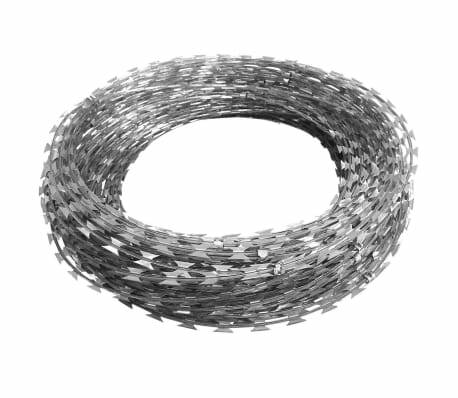 This NATO razor wire, suitable for all types of outdoor use, will be a perfect choice for protecting your fields and property. 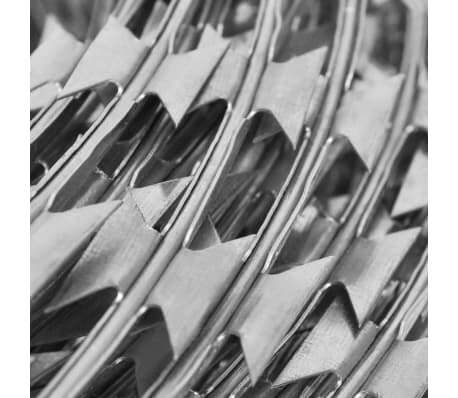 It could even be used to secure military sites, prisons and government agencies. 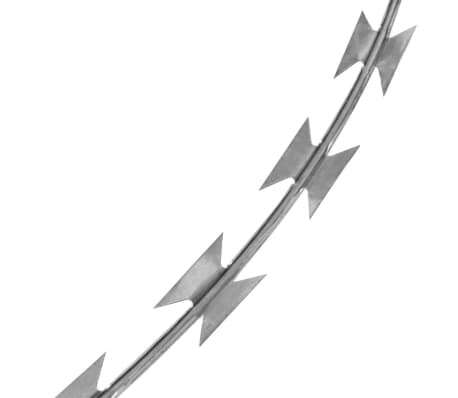 The sturdy barbed wire is already coiled and has 3 clips on each loop, which results in a tubular shape with gaps that are too small for a person to climb through. This will keep unwanted guests out of your property. 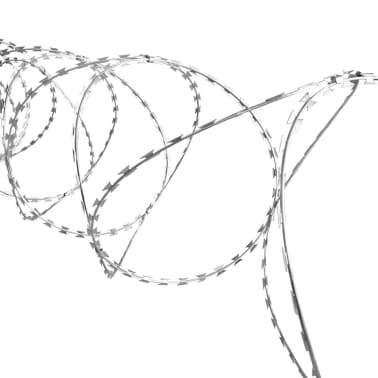 The razor wire can be wound around the top of your property fence for added security. 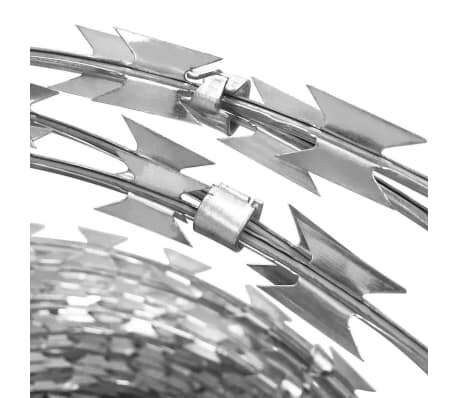 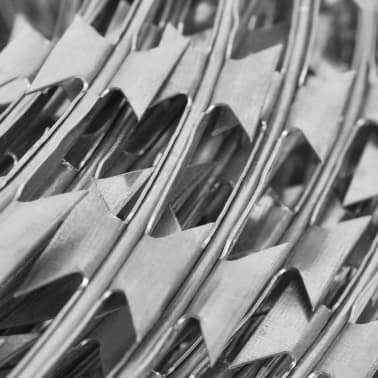 Made of high-quality galvanised steel, our razor wire is weather- and water-resistant, and highly durable. 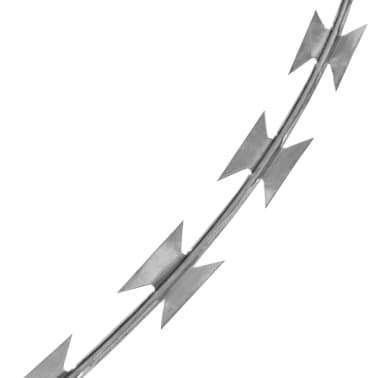 Please check your local laws and seek professional help or advice before starting any installation of this product.